Just Ask Molly | A local resource for the friends and family of The Hobin Company. 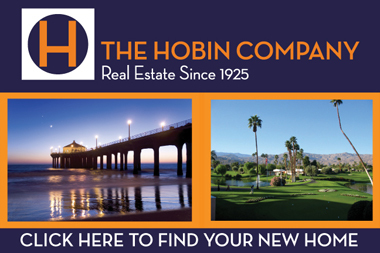 A local resource for the friends and family of The Hobin Company. Thanks for stopping by. JustAskMolly.com is a free local resource for friends, family, clients and potential clients of The Hobin Company. It is meant to be a fun site with local resources, favorite hot spots, and a weekly blog featuring upcoming events, new restaurant openings, local real estate news, travel adventures and more. For some reason, while I was growing up in Northern California with my three younger brothers, and throughout high school, my years at UCLA and during my real estate career, my family and friends would always say "Just Ask Molly". I would constantly get calls and emails with questions like, "I am going to be in Santa Monica tonight and where should I go for dinner? " or "I am going to San Francisco where should I stay?" or "I need the name of a good plumber " ? So... after much urging from my three brothers, I launched JustAskMolly.com to create a database with local resources and fun places that I have been or that have come highly recommended to me by others. Check back frequently for updates and sign up for the blog. Thanks very much! LIFE IS SHORT... ...ENJOY THE RIDE !!!! Beachlife Festival will take place on May 3-5, 2019 at the Seaside Lagoon in Redondo Beach, CA. This 3 day event will feature A-list headliners (Willie Nelson! ), and celebrate Southern California beach culture. Come join the Richstone Family Center on a beautiful ocean walk from Manhattan Pier to Hermosa Pier and back. Celebrate National Child Abuse Prevention month and support the Richstone Family Center. FOUR (4) tickets to Disneyland! Like most of JOEY management, CEO Jeff Fuller started his remarkable journey flipping burgers, washing dishes and sweeping floors. It’s called paying your dues, learning from the ground up and understanding what success takes. “If there’s a secret,” he says, “it’s hard work, unwavering commitment to the customer and assembling the very best people.” Jeff absorbed valuable lessons from his family’s successful businesses before striking out on his own with a brand new concept in upscale casual restaurants. The first JOEY opened in 1992 and, as word spread, plans for a second location were quickly in the works. Today there are 27 JOEY Restaurants across Vancouver, Kelowna, Calgary, Edmonton, Winnipeg, Toronto, Seattle and California. Their model isn’t to repeat formulas but create spaces perfectly suited to the locale and its clientele. Each JOEY restaurant is unique, but they all have plenty in common: great food, lively environments, exceptional dining experiences and great happy hours. Urban Plates goal is simple: To use the best ingredients possible to create wholesome, delicious food that’s prepared before our guests’ eyes just the way they want it. Our hope is that by making real food prepared by real chefs accessible to everyone in a convenient, comfortable setting we can empower anyone interested in making better food choices to be a bit healthier, happier and hopeful about the future. Urban Plates is based in San Diego, CA and found throughout the San Diego, Orange County and Los Angeles areas, with additional locations in Northern California and Washington D.C. Founded by Jesse Gomez with partner/chef Jose Acevedo we can expect to see a new twist on Mexican cuisine! Cocinas y Calaveras restaurant group takes pride in offering a traditional yet contemporary experience that has paved the way for elevated Mexican cuisine that is accessible to everyone. “Dan”, which stands for “Dumplings and Noodles” will be a modern Chinese eatery specializing in dumplings and noodles. Dan Modern Cuisine already has a location in Pasadena and we are excited to see it coming to the Manhattan Village Mall! Apple is the ‘heart’ of the center, which will also have a remodeled Macy’s and an outdoor expansion. For the past two years, Manhattan Village has been a shopping center in flux. The center’s leaders have worked to consolidate Macy’s stores, increase parking, and set up a spot for Tesla owners to charge their cars. It’s all been part of a $180 million revitalization and expansion of the 38-year-old Manhattan Village, which will see the center grow from 573,000 square feet to 648,000. The overhaul is expected to wrap up in 2020. An update to the inside of Manhattan Village – including new flooring, skylights and touch-screen directories – has finished. “It was trying to bring a more modernized look and feel to the property,” said Don Ziss, the senior general manager of JLL. It’s all part of a plan to reclaim Manhattan Village’s title as the South Bay’s premier shopping destination. The new-look Manhattan Village, on Sepulveda Boulevard, now has the Apple Store as its focal point. It’s a regional draw, Ziss said, in an otherwise locally focused shopping center. “We have that balance between the two,” Ziss said. “When you think about the modern shopping center today, who is going to be your draws, bring in customers and foot traffic? But the interior also has luxe seating areas, upgraded technology with work and charging stations, new lighting and restrooms, and enhanced landscaping throughout the center. The center court – which Ziss called “the lobby” – has a fountain and a concierge counter, and is just outside the Apple Store. It’s a place, Ziss said, where folks can hang out and relax. But there’s more to the renovations than just interior design. Another key element of the upgrades – the consolidation and remodeling of Macy’s – is also going smoothly, Ziss noted. Macy’s recently gave a facelift to its outdoor facade and added a new entrance facing Rosecrans Avenue. The department store is also consolidating its properties. At Manhattan Village, like at many other malls, Macy’s has typically had two locations: the main department store and a smaller auxiliary space for menswear and home goods. But Macy’s has expanded – and remodeled — the main store by 60,000 square feet, allowing them to soon add menswear and home goods there, Ziss said. The first level opened in December. And with Macy’s nixing the auxiliary store, Manhattan Village can now lure a new tenant – though what that will be has not yet been announced. “That’s going to be a real opportunity to add new retail that will add to the experience of the property,” Ziss said. Across from the Rosecrans entrance, meanwhile, Manhattan Village last month opened a new parking garage. The four-level parking deck – the first of three planned for the center – includes 500 spaces, an electronic sign letting guests know how many spots are available on each floor, a second-story walkway that connects straight into the shopping center and electric vehicle chargers. The garage also contains a dozen Tesla supercharger stations, the first in Manhattan Beach, Ziss said. As the project enters its next phase, which includes an outdoor expansion, creating cohesion is a priority. The center will have more dining and retail options, and a grand entrance off 33rd Street that forms a focal line leading to the heart of the center – the Apple Store. That outdoor expansion will include cascading water features, rolling grass hills and a clock tower art sculpture leading to the center. The cohesive design, Ziss said, will help it stand out from other shopping centers in the Los Angeles area, including The Point, in El Segundo. Manhattan Village wants to brand itself as offering not only shopping – but also an entire experience for the community, other JLL representatives have said. We were lucky enough to grow up in Southern California on the beach, surfing, hanging out with sand between our toes, vibing with friends — living the beach life. So Beach Life Festival thought it only fitting to create a huge beach party celebrating our way of life with all our friends in Los Angeles. Join them for the first coastal festival ever to be held in Los Angeles on the Pacific Ocean — BeachLife Festival. 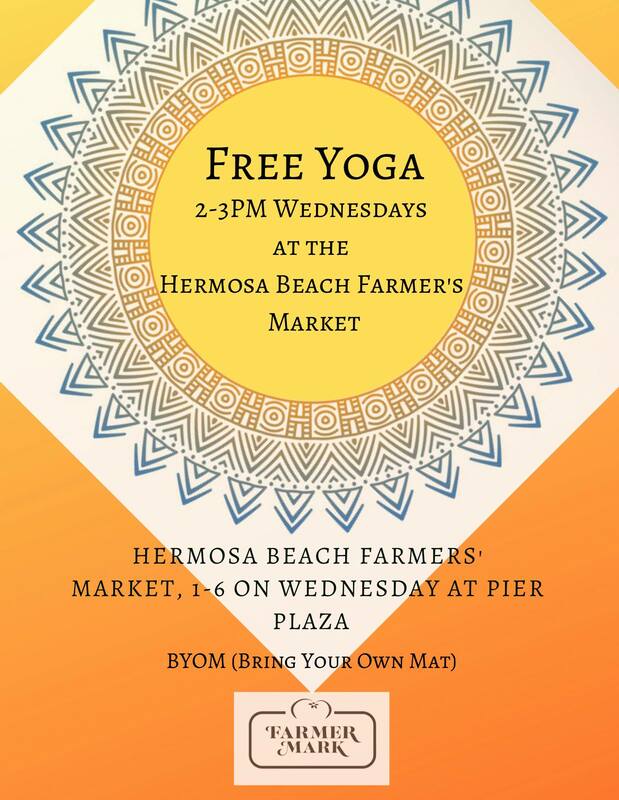 Grab your friends and head to Redondo Beach from May 3rd through May 5th. We’ll be watching the sunset and our favorite bands play LIVE on the beach. Come honor the Southern California BeachLife with live music, great food, great drinks, great surfing, and everything beach. #WeLiveTheBeachLife. Manhattan Beach List of Events For 2019! It’s time to mark your calendars for another busy year of events in Manhattan Beach. To get you started, we’ve got a list of classic Manhattan Beach events throughout the year, as well as notable other milestones. Click a date in our calendar section for complete details and ticket information! Happy 2019 everyone! 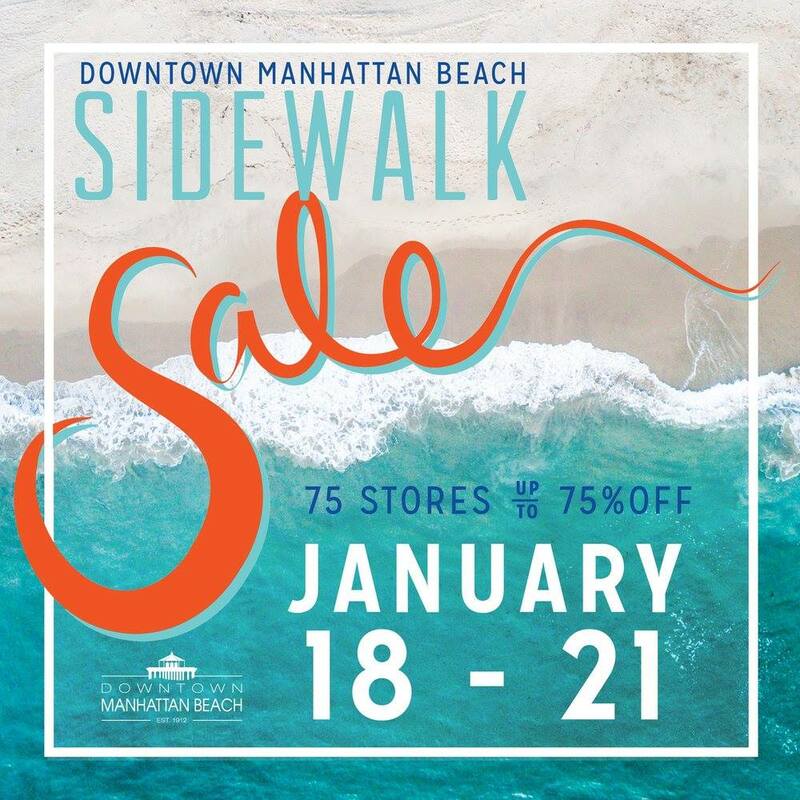 Downtown Manhattan Beach Sidewalk Sale! Shop 75+ stores up to 75% off. Men’s, women’s, children, home, books, gifts and accessories. There is something for everyone at the Downtown Manhattan Beach Sidewalk Sale. 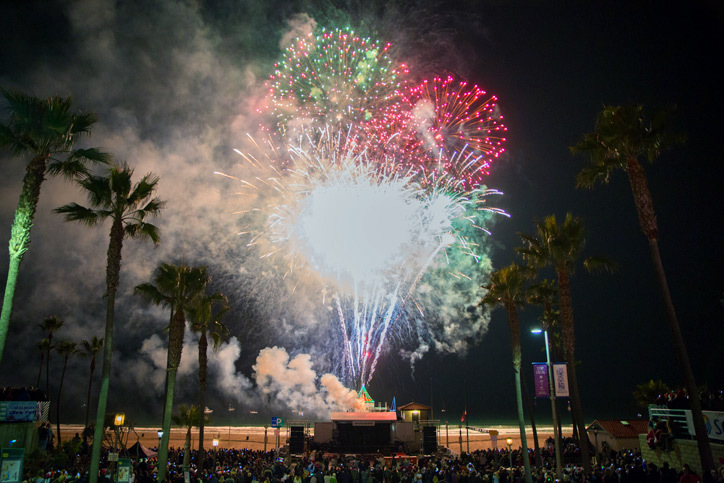 December 9th The Annual Manhattan Beach Fireworks Show & Celebration! December 9th Manhattan Beach Annual Fireworks show! Snow! Music! Fun! Click Here For The Complete Details! Santa’s Coming to Manhattan Beach! Manhattan Beach will have its own visit from St. Nick as well, following a similar structure as Redondo Beach. He’ll be cruising through the city from November 27 – December 15. 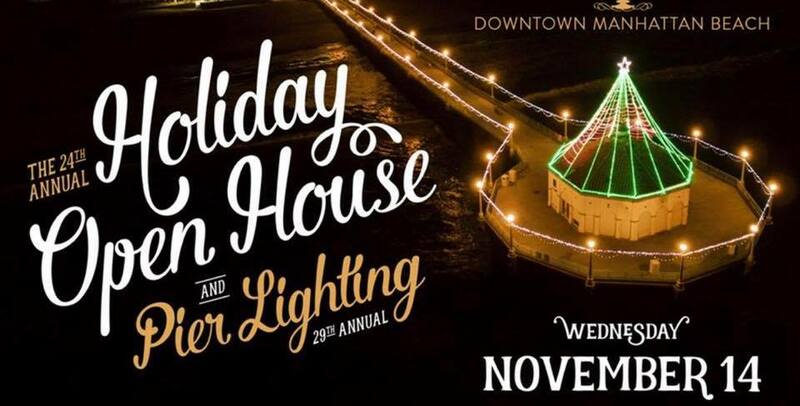 The annual Pier Lighting and Holiday Open House is the official start of the holiday season in Manhattan Beach. 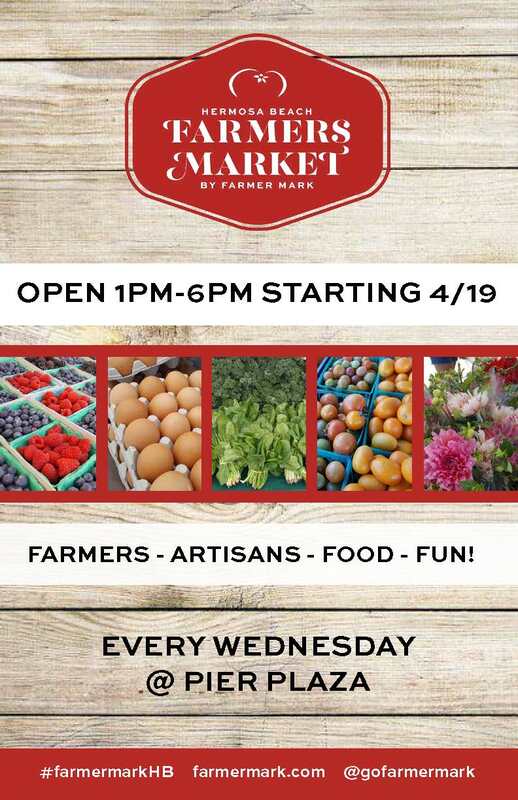 It is also downtown Manhattan Beach’s local restaurants, retail stores and businesses way of saying thank you to their customers and community for their support and patronage throughout the year. Downtown merchants will be open until 9:00 PM and are sure to offer some distinctive gifts and intriguing offers this holiday season. The restaurants will be serving their original menus and some sampling to get your palette started for an evening of wonderful food. Be sure to check out the solar powered Festival of Lights and the 12 foot living tree in the Metlox Plaza. Please note: The Living Trees on the pier will be up for one week from November 13th to November 19th. Bring your kids and remember your shopping list! Enjoy an evening of holiday music, shopping and dining all at one great location, Downtown Manhattan Beach. Download a copy of the schedule (coming soon). Please be note the street closures that will occur the day of the event. 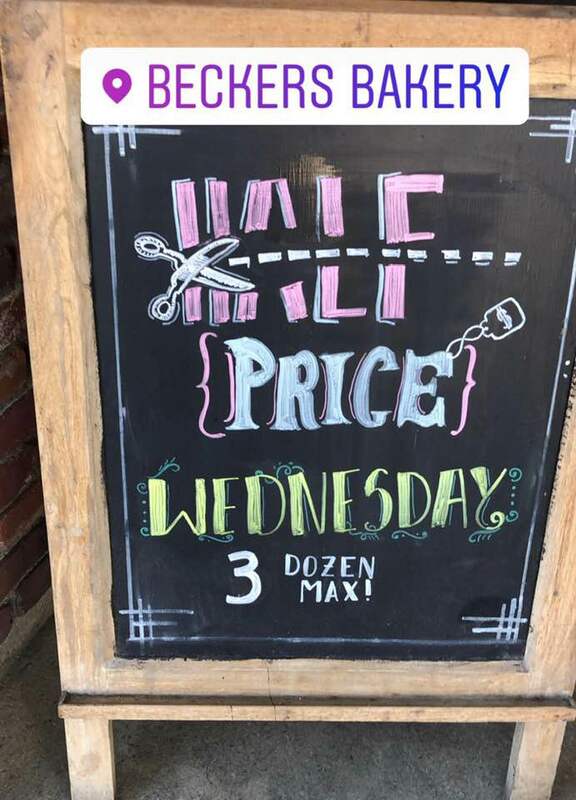 Half Priced Bakery Items Every Wednesday at Becker’s Bakery in Downtown Manhattan Beach! 1025 Manhattan Avenue Downtown Manhattan Beach (limit 2 dozen). Copyright © Just Ask Molly All rights Reserved.